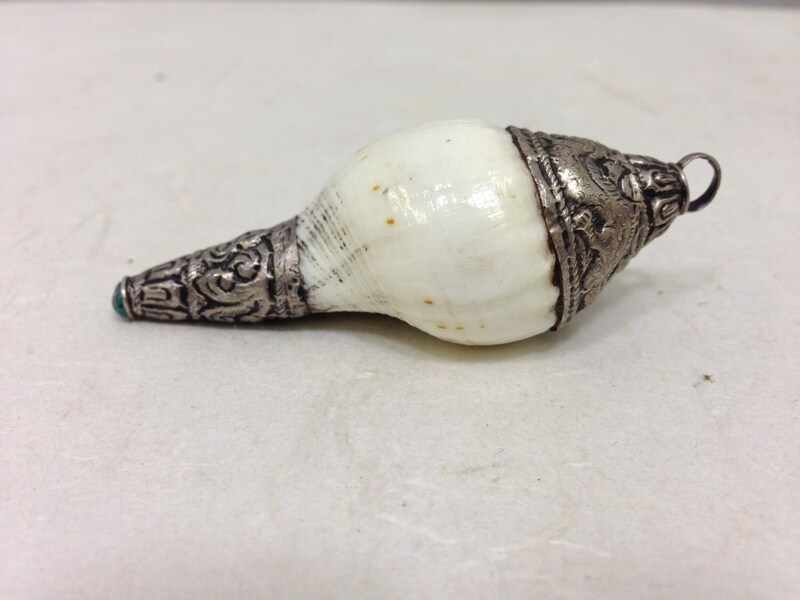 This is a beautiful Tibetan Silver Naga Conch Shell Trumpet Pendant with and Silver cap to use as a pendant. 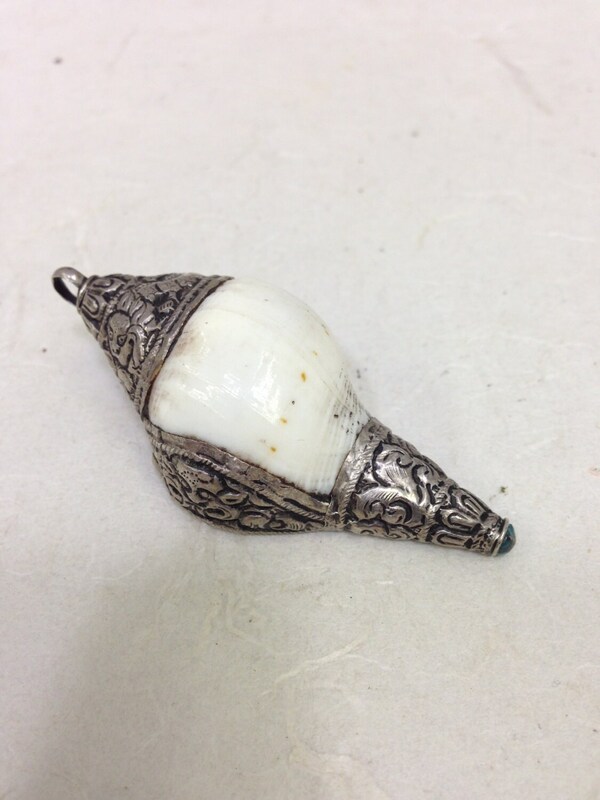 The right-turning white conch shell represents the beautiful sound of the spread of the Buddha dharma. Its sound is deep, far-reaching and melodious, and hearing it awakens beings from the deep slumber of ignorance, urging them to accomplish their own and others' welfare. 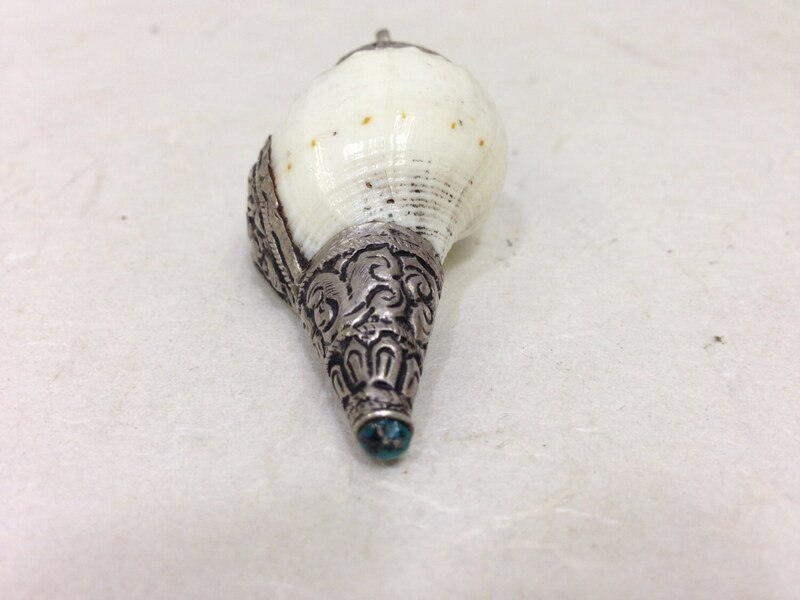 This is a spiritually beautiful Silver Conch Shell Trumpet Pendant that would be fabulous in all your creative jewelry designs. This can be worn by a man or a woman.